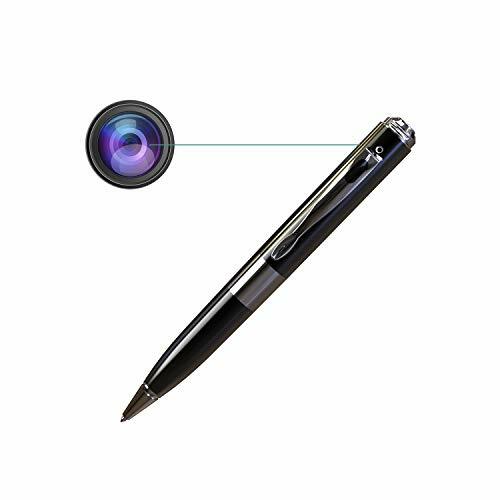 With the ability to plug and play, the Premium 1080p Hidden camera spy pen is ideal for those who want to have a mobile recording device. 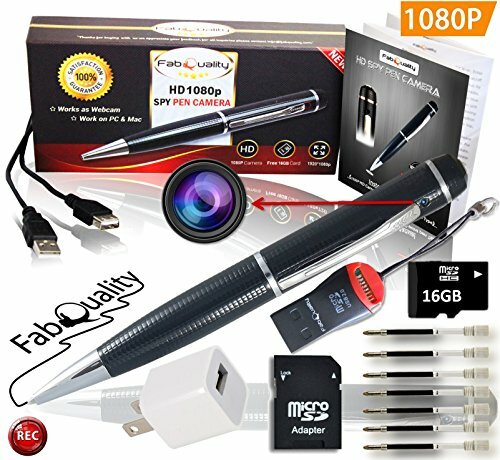 Not only can this pen be used to write as would be expected, but it also contains a small camera which is capable of recording 1280×1080 video quality. It is ideal for those who are in a situation which requires a discreet camera for filming events or incidents which may occur in their everyday lives. This pen is designed to be the simplest device to use, with an easy setup and simple to use layout, it makes the ideal hidden camera for users with minimal knowledge. 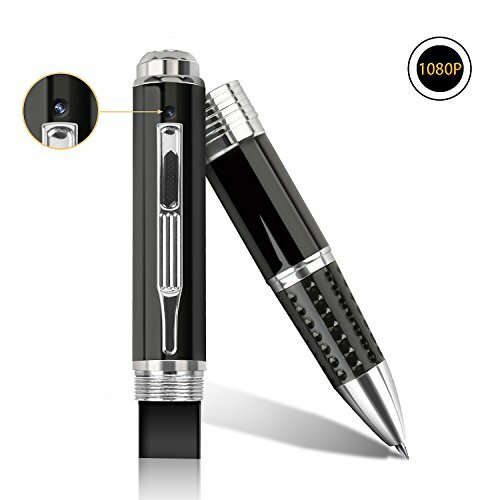 With a simple click on to start the recording and another which will stop the recording, the whole process could not be any simpler.There are two type of recording features to this pen, the first being non-stop recording, which is simply recording from the moment you click to start until you click to stop, the second is a motion detection recording feature, which means that it will only start recording at the sign of movement. 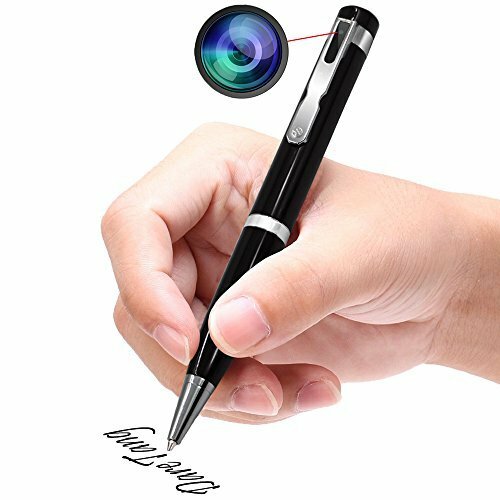 Even though the overall size of the device is about the same as a regular ball point pen, it has a lot of features crammed in, without impacting the overall recording quality of the camera. 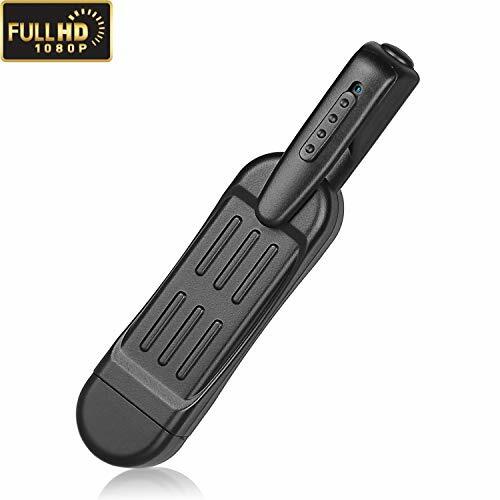 Taking the footage off from the pen is simple, it doesn't require any third party application or software, which makes this pen plug and play. It can be operated manually or set to motion detection for recording, which means you have full control over when it records to prevent too much space being used on the storage card. 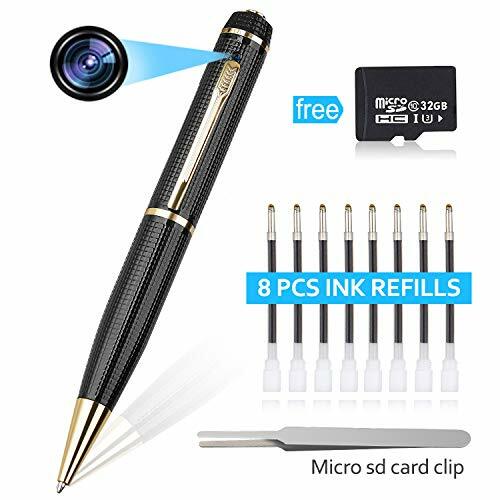 The Premium Full 1080p HD Hidden Camera Spy Pen can record up to 120 minutes of high quality footage, with the SD card slot being able to handle up to 32GB of storage. Not only can this pen be used to store video and images, but you can also use it as an external flash drive to carry important documents. This bundle contains everything you will need to get started, meaning you can start recording from the moment you receive your item. Plug And Play Ready, simply plug the cable into your PC or MAC and transfer your recordings over. External SD Card slot which will take up to 32GB storage. Can be used for more than just images and videos, can also store files like an external flash drive. Ability to record manually or set to motion detection, this will help you capture footage no matter what the situation. The overall build quality is somewhat lacking, could be made from a sturdier material to enable longer use. Hard to get the camera at the right angle when recording. In conclusion, we believe that this spy pen is great for beginners or those who aren't 100% tech savvy. With its plug and play feature meaning that it works with both PC and MAC, it is able to cope with anyone's needs. With this bundle you get everything you need to get started, so why not take the plunge and purchase this product today!